We have always asked SOT members for their feedback. For example click here and also click here. Although this feedback is mostly subjective it remains a valid indication of the many ways that SOT members have applied their training to produce benefits and positive results in their life and work. However, this kind of subjective evidence cannot replace scientifically validated research and there is an opportunity for SOT to see that such research is properly conducted. Starting in 2011-2012, we are planning to fund a range of focused and scientific research projects on different aspects of SOT metacognition training to explore the question: Does it work? SOT is currently planning to appoint a Research Committee (SOT RC) of ten eminent people, the majority of whom will have appropriate experience in reviewing research. The Research Committee will ensure that the research undertaken is scientific in nature. Those persons appointed to the SOT RC will have a proven ability to direct a research program of high quality and scientific merit, as evidenced by their academic qualifications and professional appointments. SOT RC will determine the research activities which are to be funded from the SOT Research Fund and award research grants on the basis of scientific quality as judged by peer-review. SOT RC will foster publication and dissemination of research results within and beyond the School of Thinking. DOES IT WORK? How do we know if SOT training really works? 30 years ago I had an idea for a network of family thinkers. That idea was to start the CoRT Family Network to train 300,000 ‘teachers of thinking’ around the world. I shared this idea with Edward de Bono who wrote to me saying he thought the idea was “brilliant” and he suggested we call this project the Edward de Bono School of Thinking. The idea was to train families in the CoRT Thinking skills. We kicked it off in New York on 17 November, 1979. This strategy of training families to be ‘teachers of thinking’ became so successful that it has led to the largest metacognition movement in the world for the teaching of thinking skills. In business in the 80s, CEOs like Bill Gates of Microsoft and Jack Welch of GE were among the first to see the commercial value of enterprise innovation which could come from harnessing the brainpower of all of the knowledge-workers across the enterprise. Since then, other companies like Apple, Pixar and Google have followed suit and invested in the development of employee brainpower to deliver extra value to their shareholders. Today, INNOVATION is no longer a fringe topic of conversation but is considered to be a top priority in Fortune 500 boardrooms as directors chart the future of their enterprise. Over the years, this Family Thinkers Project has sourced, tested, created, developed and published an evolving range of metacognitive technologies including CoRT thinking skills, School of Thinking caps, universal brain software (cvs2bvs), greyscale thinking and the XIO memeplex. These technologies are currently being used every day by many millions of individual thinkers in schools, colleges, NGOs, government bodies and small, medium and very large corporations worldwide. In 1995 I decided to base the School of Thinking (SOT) on the internet. This was the first school on the internet. SOT online began to send out pro bono thinking lessons by email to students in over 50 countries worldwide and it still does this every day. SOT lessons have reached over 100 million people worldwide since it all began in 1979. But here’s the question: Does it work? After 30 years, what are the consequences of my Family Thinkers Network idea? Now that there ARE hundreds of thousands of ‘teachers of thinking’ around the world who are teaching thinking every day to millions of children perhaps we should ask: what are the consequences of this? I have given a lot of thought to this question over the years and I still don’t feel satisfied that we have sufficiently explored the answer. We do ask for and get feedback every day from our students online. Overwhelmingly the feedback is positive–better health, increased productivity, better relationships, business growth etc etc. We rarely get any negative feedback from individual students at all. In business, companies like GE say that their business has flourished from using SOT brain software for their workers. In the early 80s I initiated a program for Jack Welch who was CEO of GE called GE XIO: How to multiply GE by ten. GE subsequently did multiply its business by ten from $35 billion to over $300 billion in the 80s and 90s. So, from my personal experience, I’ve no doubt that SOT training can be widely distributed, creatively powerful and has changed lives. Perhaps this is the reason why we should do more scientific research to test the validity of this view. IS IT TRUE? 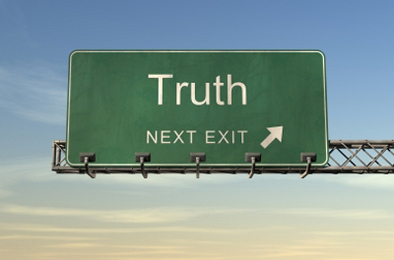 : How to sort truths from lies. In our exploding world of cybermedia with photoshop, digital manipulation and peer2peer messaging at the speed of light, I believe that the global epidemic spread of lies may be one of the most serious challenges facing long-term human survival. Beware of the imaginary mind! Imagination is a wondrous and powerful faculty of the human brain and is therefore something of which to be both wary and aware. Sometimes imagination can be passed off as ‘truth’ when it isn’t true at all. When this happens it can cause very poor and even highly irrational decision-making on a repetitive, habitual and therefore daily basis. The consequences, like quicksand, can become inescapable. This can be very dangerous and is often lethal. Millions of humans are losing their lives as a direct result of this kind of neurological confusion. The more skilled the thinker the less likely one is to be confused about which ‘truth’ is really true and which one is simply imaginary. This statement to me means that thinking is a skill and like any other skill such as carpentry or programming, a person can become a skilled thinker by practicing and constantly learning, adapting, challenging and of course thinking. Come to think (pun intended) of it, while I am writing this response I am thinking about what to write so in essence I am practicing thinking. Thinking and decision making are probably two skills that are interrelated plus these are two activities that we as humans are constantly involved in, so to make better decisions you need to become a better thinker and I guess in order to become a better thinker you have to become a better listener, observer, reader and above all have an open mind. I think I will stop now.